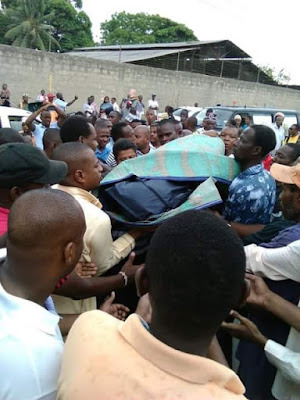 It was sad moment in Mombasa County and to the Kenyan Nation at large after news broke that KTN swahili presenter Ahmed Darwesh was no more. 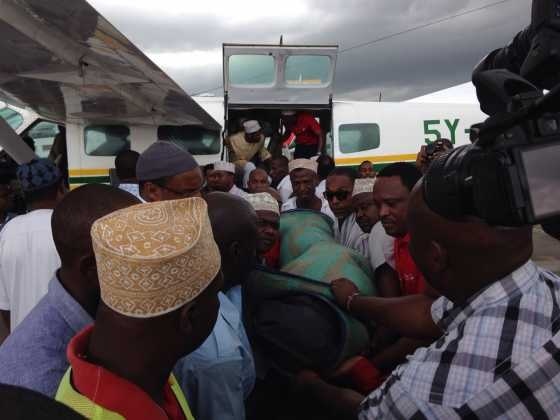 The popular journalist who was ailing from diabetes for a while was found dead on his sofa set. 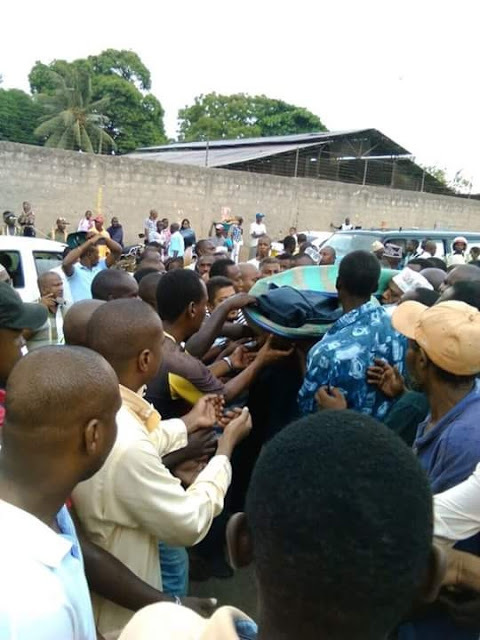 Well later in the day when his body was being moved from his house to where he was to be laid to rest at Masij Musa mosque people at the scene scrumbled almost causing a stampede in a bid to touch the body of the late Darwesh.